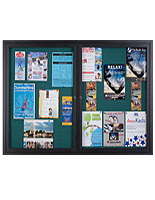 The Sliding Glass Framed Cork Board is Easily Noticed From a Distance Because of its Size. 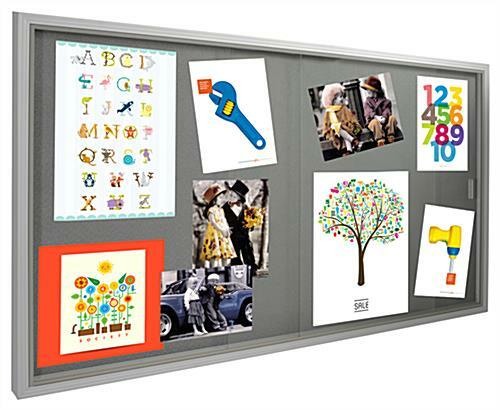 The Gray Tackboard is Great for Use in Schools, Office Buildings, & Community Centers. 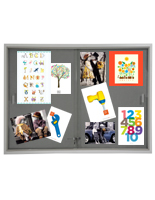 The Sliding Glass Framed Cork Board is Able to be Locked for Security! 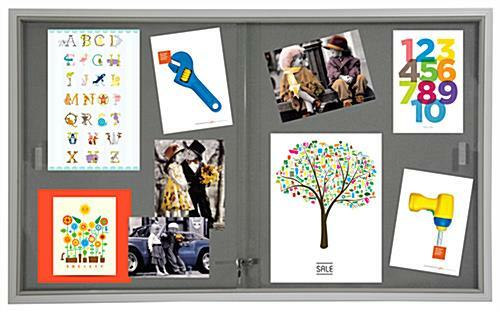 Easy mounting instructions make the display easy to use. 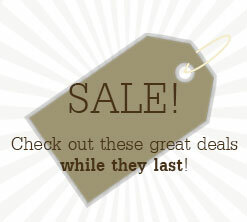 Measures 5' x 3' to provide a large amount of display space. 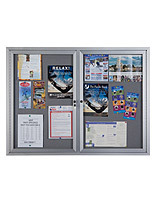 Aluminum construction is durable and affordable and is also lightweight. 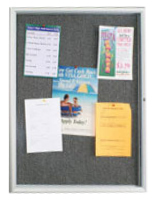 This sliding glass framed cork board, called an aluminum framed tackboard, comes with built-in locks that are provided with a set of keys to control who has access. 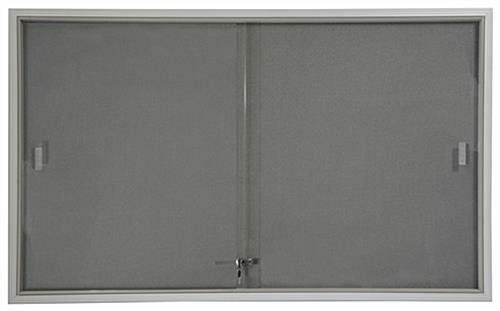 The rolling doors are made of special, tempered materials that hold up well and won't shatter if broken. 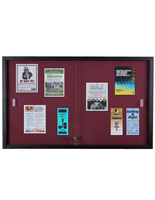 This framed memo display, sliding glass framed cork board with silver finish will keep enclosed information secure so only a select few have access to it. 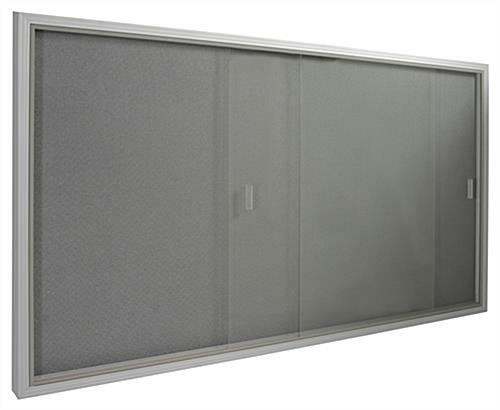 The structures are perfect to be placed in areas of high traffic because of the amount of information they hold and because of their durable construction. 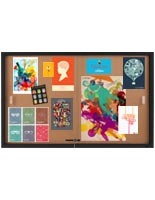 The sliding glass framed cork board that mounts to walls has simple directions for hanging. 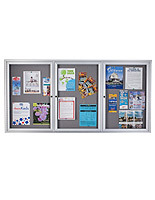 This bulletin display is perfect to make others aware of new policies, special events, and many other pieces of information in an office, school, or other busy environment. 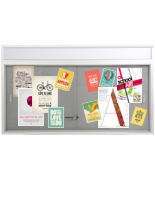 35.0" x 36.0" x 2.0"